Usually, my husband, Ed, does not like it when I ask him to “do things”…like take out the trash or blow leaves off the driveway. But he always likes it if I ask him to go up in the plane. 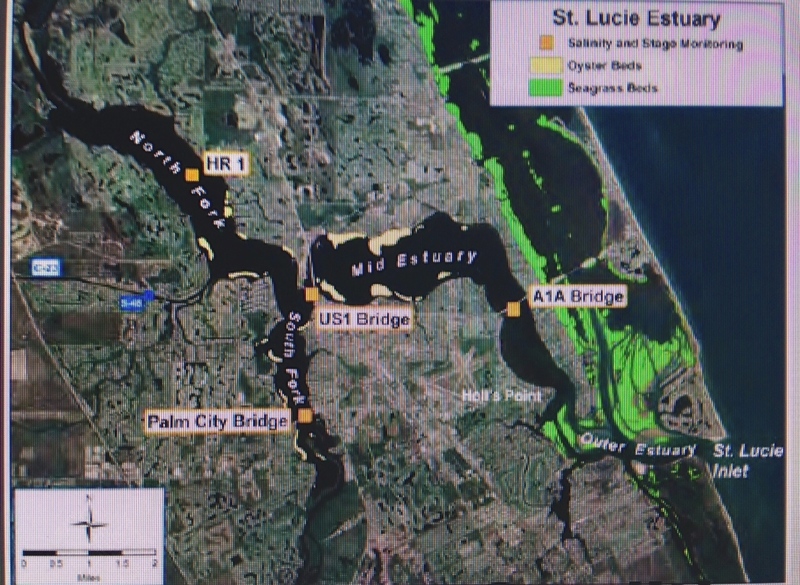 He did so yesterday, and was able to visually document the polluted discharges pouring into our St Lucie River/Indian River Lagoon. 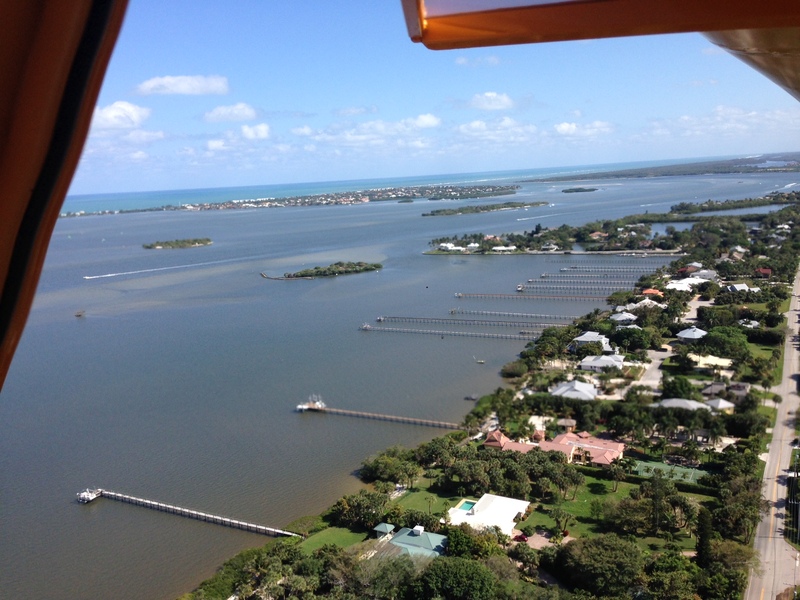 The Army Corp of Engineers (ACOE), and the South Florida Water Management District (SFWMD) agreed to have the Army Corp start releases this year on January 16, 2015 at 200 cubic feet per second (cfs) through S-308 into the C-44 canal which is attached to the South Fork of the St Lucie River, and then in turn is connected to the Indian River Lagoon “my town,” Sewall’s Point. 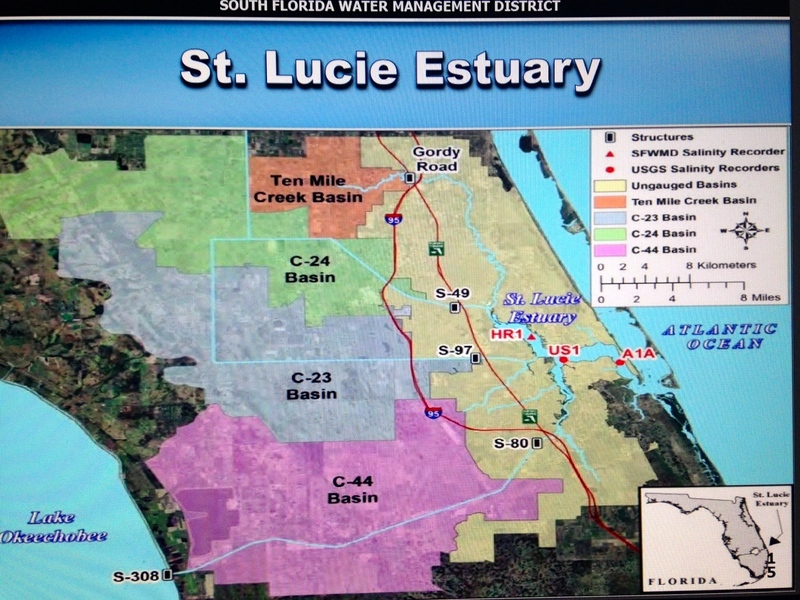 This SFWMD basin map also shows S-308 at Lake O, the C-44 canal, S-80 at St Lucie Locks and Dam, SLR/IRL. Today I will share Ed’s photos and show how to “see” how much the ACOE is releasing at S-308. 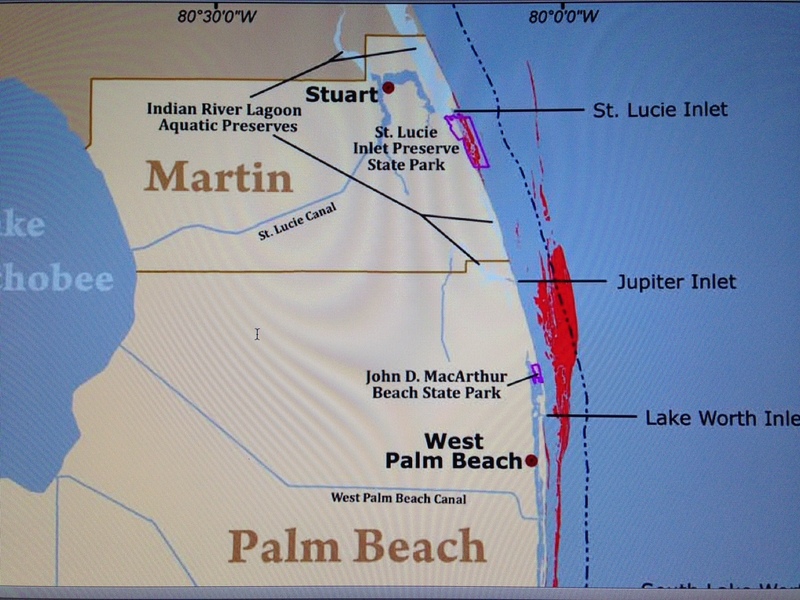 (Structure 308) which is located at Port Mayaca, in Indiantown, Martin County. 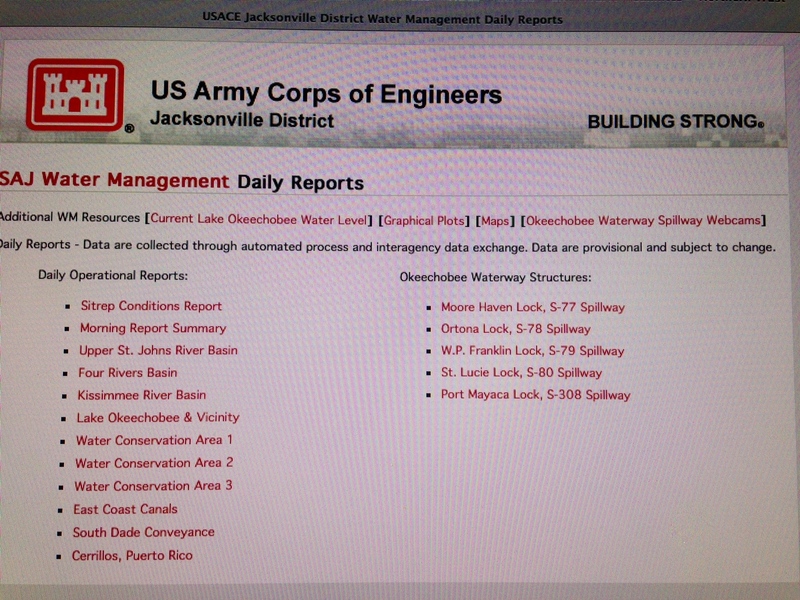 You can search “Jacksonville, ACOE” or just go to this link: (http://w3.saj.usace.army.mil/h2o/reports.htm). You can then very quickly check two things: Lake Okeechobee’s level and how much the ACOE is dumping at S-308 from the lake. To do so, after accessing the site, go to “Current Lake Okeechobee Water Level” at the top left: Always one day behind or so, the latest date reported is 3-7-15– Lake O is at 14.71 feet. 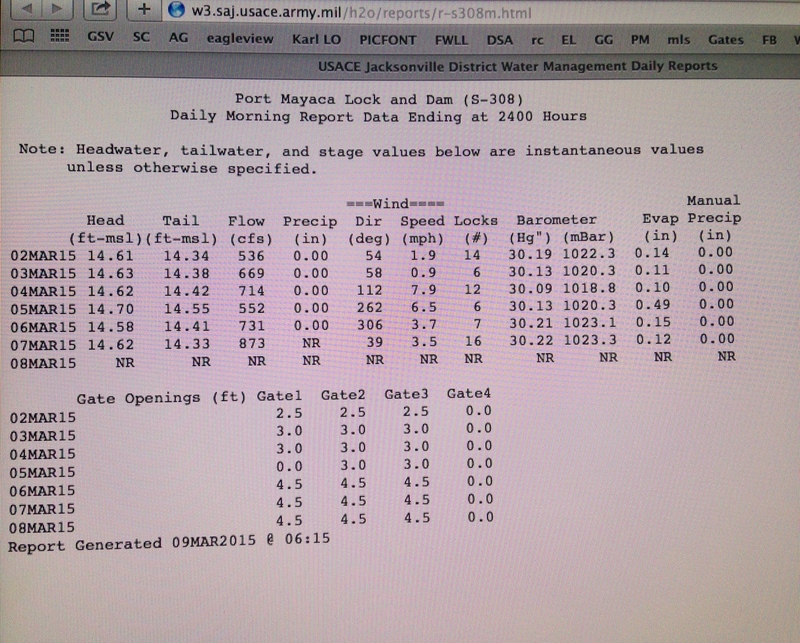 Then go back to the main page to the last link: “Port Mayaca Lock, S-308 Spillway.” View by date; the last date shows 873 cubic feet per second (cfs) being discharged. Front page of ACOE Lake O website, 2015. 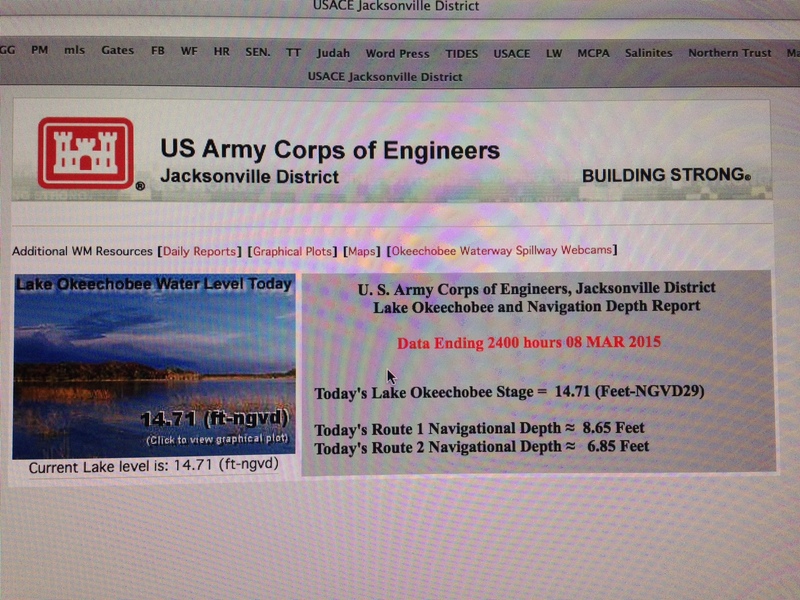 3-9-15 Lake O level 14.71 feet. NVGD. S-308 report shows 873 cfs on 3-7-15 going into C-44 or SLR. Here are some more photos Ed took yesterday, 3-8-15, of the SLR/IRL. When Ed got home, he said I was lucky I did not go up with him as it was windy which means bumpy…He also said the plume looked different from what we have seen before. 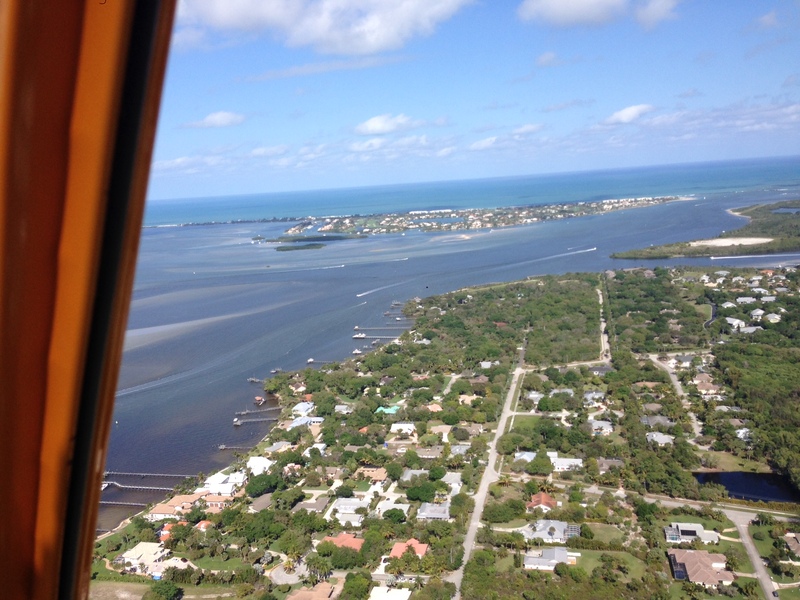 It looked “chalky” as is seen in these two photographs below and extended about two miles off shore and further south of the St Lucie Inlet. I am no scientist, but I would imagine this is silt/suspended solids in the water as everything is “stirred up” from the wind. 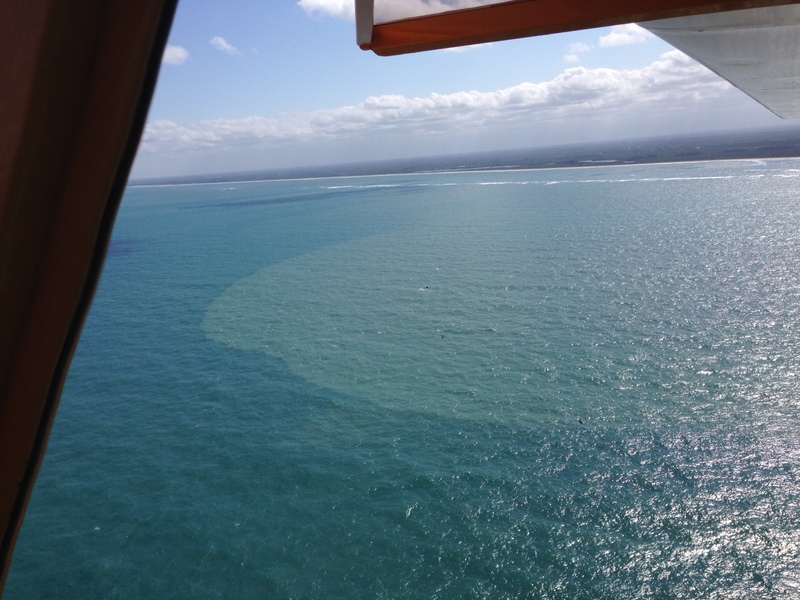 Suspended solids falling on and smothering our reefs…. In closing, I must thank my husband for the photos, and I must point something out. 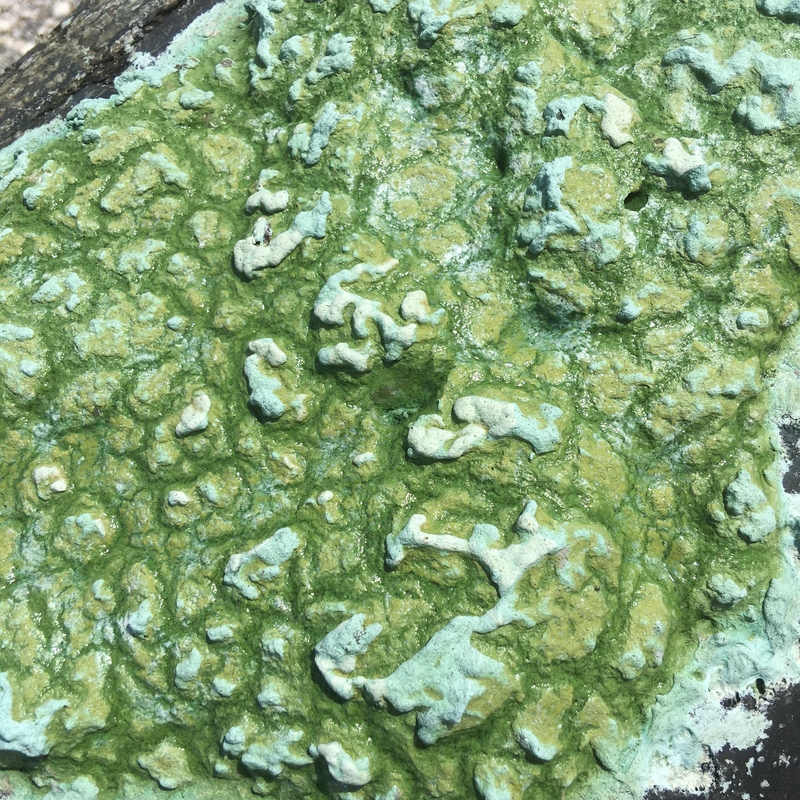 Where is the Department of Environmental Protection? Where is the Florida Wildlife Commission? Where is NOAA? 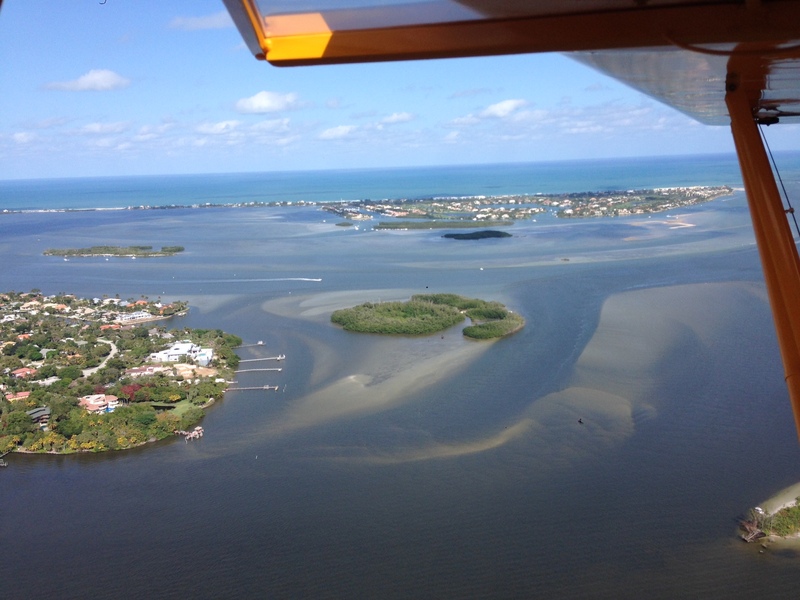 Not to mention, last year a designation of “Critical Wildlife Area,” —the first in 20 years for Florida—for 30 plus species of nesting and resting protected birds, was established on “Bird Island,” located just 400 feet off south Sewall’s Point….”Now” is right before nesting season’s height. Where will the birds find food when the seagrass beds are covered in silt and the water is so dark they can’t really see? Chances are these releases will continue. Don’t our state agencies have a duty to protect? Don’t they have a voice or has it been muffled? Not a word? Not a peep. Where is our governor? Isn’t this money? Isn’t the productivity our of waterways linked to our businesses? Our real estate values? Where is our local delegation? Have we all become numb to this destruction? Beaten down and manipulated so long we that have no reaction? Our state and federal government entities responsible for “protection” especially should hang their heads in shame. If nothing else “speak out” about how bad it is. Recognize the loss. Address the “constraints,” killing this ecosystem and local economy. Take leadership! Be true to our heritage. We are the United States of America. Be brave. Speak out! Excellent all around â your âfrom the heartâ advocacy is inspiring! 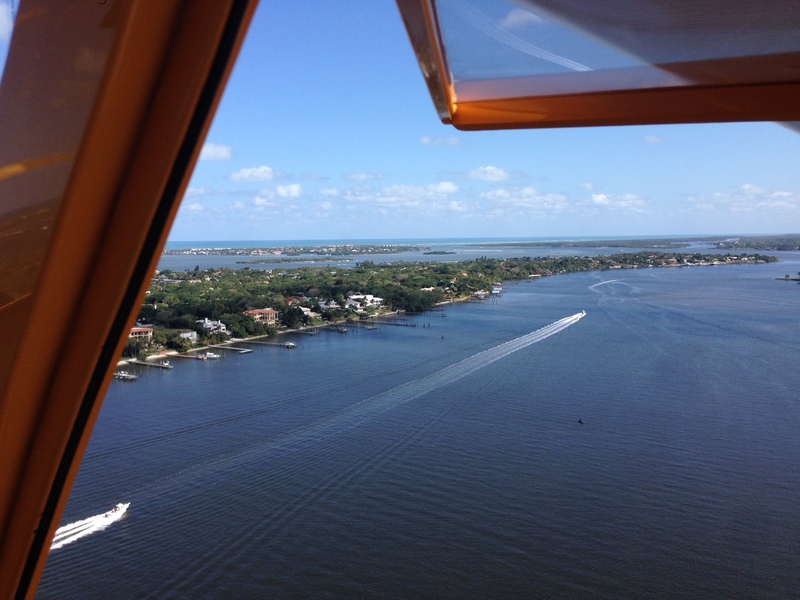 Tell Ed I really enjoyed his photos â I know itâs tough to control the plane on a windy day and take pictures at the same time! Thank you and Ed will appreciate that! Remember, state environmental agency employees work for the Governor. I think the word you used–“muffled” is the right word. Bob you are right. It all is set by the governor’s office. This should be an entire blog in itself and people have the conflict of keeping their jobs and feeding their families. Thank you and you are right. I will rethink and redirect this…. Jacqui, no need to rethink what you wrote. I just know that most local environmental agency employees are upset about what is happening and have no control to make changes. The secretary of each environmental agency or department are the ones who speak directly to the Governor and could make the discharges an environmental priority. Anyway, I really liked today’s blog. Jacqui, You’re absolutely right on every point, it is shameful what’s been happening and here we go again, another Lost Summer on our horizon. This is an environmental tragedy, propagated by greed, mismanagement and political corruption on a grand scale. My feeling though is that until we can bring National attention to our plight I don’t believe it will change. Shame however, can be a very powerful weapon when directed at the moral conscience of all the American people, as was proven by the civil right’s movement of the 60’s. God only knows we’re trying every polite way of correcting this problem, but right now, we need a lot more folks to see what’s happening in our State. Perhaps when the stake holders, politicians and government agencies assigned to protect us are embarrassed by their flagrant disregard and avarice, they’ll do what’s right for no other reason other than it’s the right thing to do. Ezra I know you really know these issues and one day it will come to such indeed….Thanks so much for commenting. I value your opinions and expertise with civil rights. I “feel ya” Ezra. And I also feel we are once again watching a sad and tragic drama play out on the state legislative session stage. We fixate on one thing, like the EAA land buy, and elected officials “pull a fast one,” like HB 7003 right under our noses. Mike it never never never ends does it??? It’s far better to express the discharge quantities in millions and billions of gallons. No one really relates to cfs. Even the local paper now converts to gallons. The polluters, of course, would rather disguise the onslaughts with cfs and acre feet. A useful way to convert is to know that every 1,000 cfs is equivalent to 650 million gallons per day. So 500 cfs, for e.g., is half of the 650 million per day, or go with “more than” 300 million gallons per day. Also, the elected officials are the problem, not the administrators following their direction. If the elected officials wanted to stop the discharges, they could, with both short and longterm solutions, Over-drainage of sugar lands is the root cause. We shouldn’t fall for the “north of the lake” baloney. 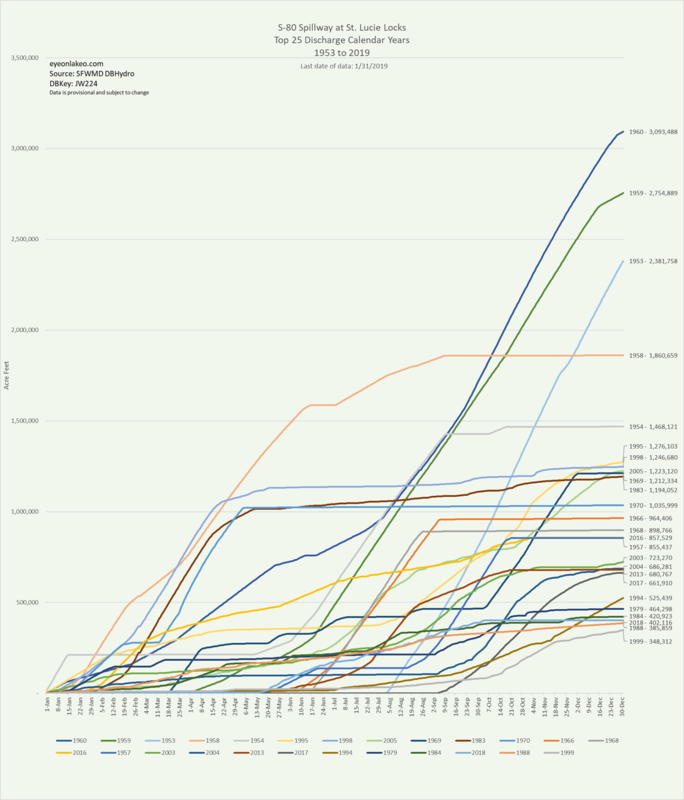 The average inflow to the lake has always been the same in modern times except in stormy events.Talk about the Kissimmee and Disney is a sugar-promoted red herring. Karl thanks. I prefer Acre Feet as I am used to the charts and can picture an acre with a foot of water but you are right gallons is an every day measurement. I will learn to do both–to convert….Thanks for “how to.” I agree with you about the elected officials but the problem too is human nature….people trying to “move up” following the party system. Conformity is rewarded, not independent thinking…. Karl you’re right,”gallons” are a better descriptive but can anyone really imagine what 300 million gallons a day actually looks like – not really. Our local paper (bless there support) still tries to make analogies in terms of so many olympic sized swimming pools. This is just inconceivable to the average person, but try this. 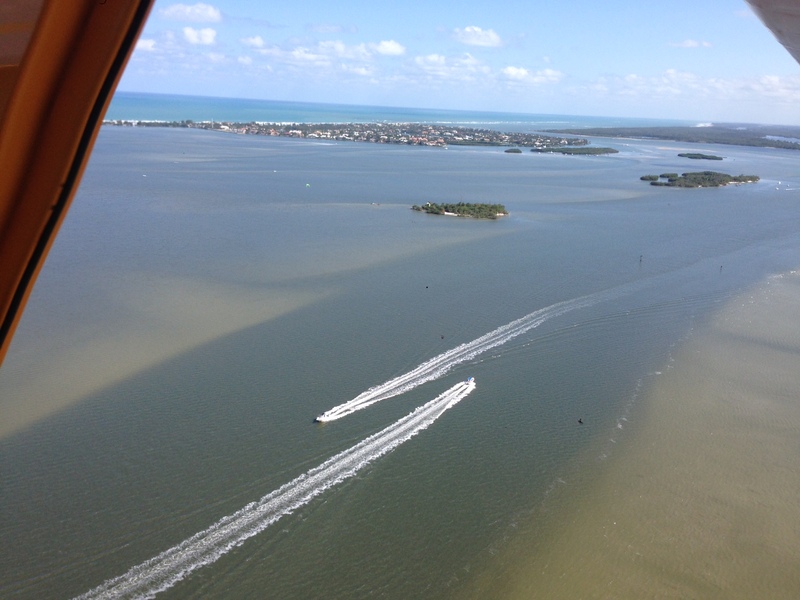 Last Summer during the height of the discharges, so much water was entering the St. Lucie River, there was never a low tide at the Palm City Bridge! 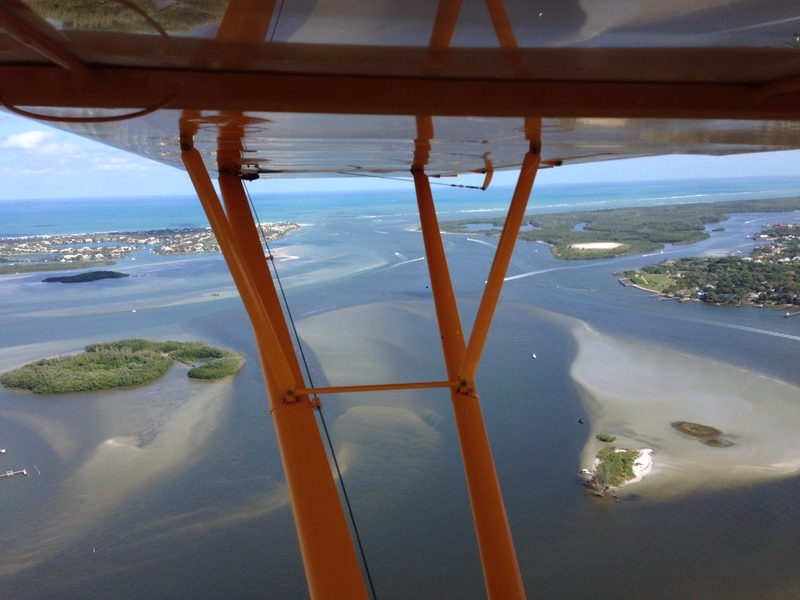 I witnessed this phenomenon throughout the entire Summer until the discharges stopped and you could then once again see the mud flats in the center of the channel. There definatly are not enough rocks around the base of all your spillways. I would like to suggest building a CALCIUM road on both side of your spillways so a trackhoe can drive down to the water and put rocks in(next year). Last summer foam was 2 foot thick in places and covered all the water around our c-54 spillway. The water is still teaming with mennhadden. They have now planted sod over the temporary roads. Brent I had to look up menhaden: http://en.wikipedia.org/wiki/Menhaden. Fascinating your ideas and shares. I am jealous—I am sure you have trackhoes ,dump trucks and a whole assortment of city equipment at your desposial and all I have is a hand truck and some 5 gallon buckets. Not really. 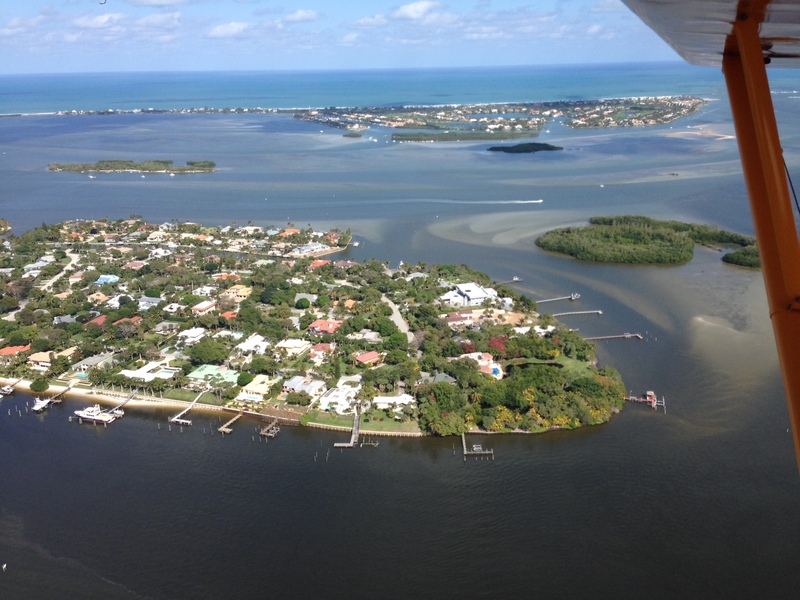 Sewall’s Point is not all you’d imagine as far a city equipment. But I am sure I could figure out how to get a truck or equipment….too bad you are way up there. I don’t want to steal someone’s dirt! 🙂 I will start looking around for someone I know who has good sand…. I am working with a guy who was born in Haiti. He said after this job he is going home to visit relitives. I have been saying that the problems we are having in our estuarys here may be happining in Haiti.If there is no calcium for the baby creatures to feed on(in the fresh water runoffs) It can be like environmentle genocide. 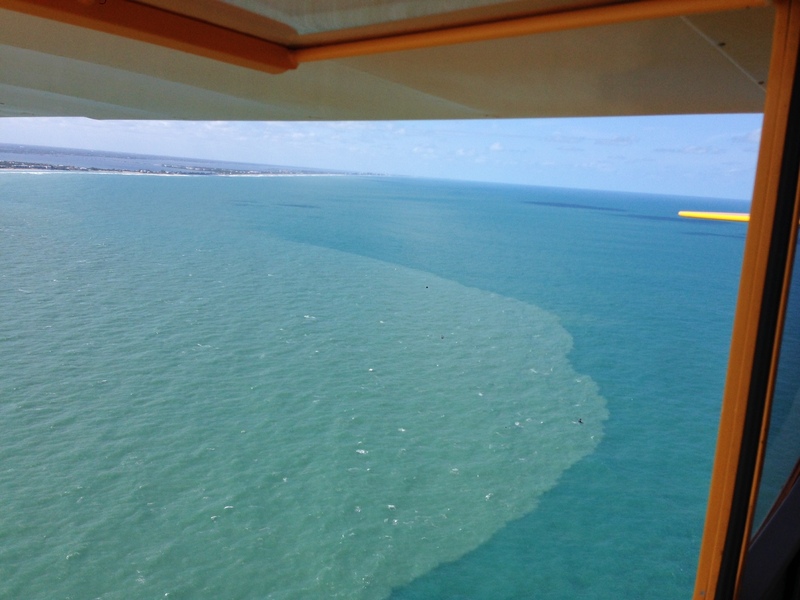 (in the photo) I would say the chalky colored water is acid in the fresh water desolveing the calcium ocean bottom. You should see how fresh water runoffs are supposed to function. In this month issue of Coastal Angler Magizine (Brevard) on page 14 it reads 2014 was best year yet for zoo oyster restoration projects. A year ago I was talking to the Brevard zoo the same as I am comunicating with you. They said as many as 41000 people have been involved in this project and 800 boat docks have been used to grow oysters from. 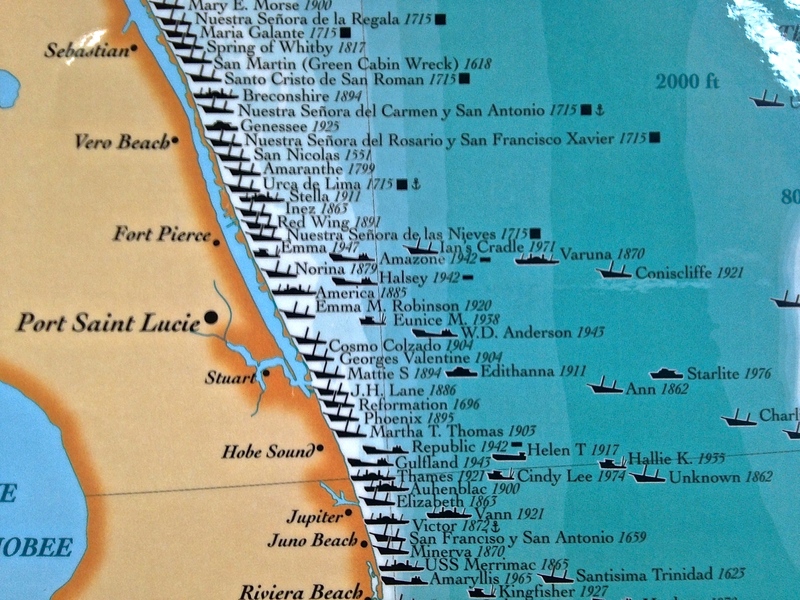 They did not know that waves have been violently churning sea shells in many locations here but nothing like it was 100 years ago before they removed all the calcium to pave roads. Thanks for qualifying. Appreciate your comments. Take care.